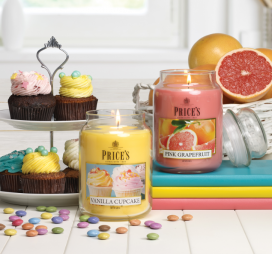 Take up to 80% discount on tealights and candles at the Price's Candles Warehouse Sale. 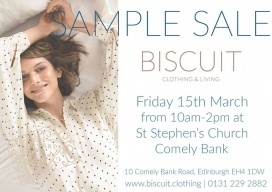 Shop for women's apparel at reduced prices at the Biscuit Sample Sale. Cashmere are available for £50, denim for £25, and tops for only £10. Take up to 70% discount on men and women's apparel, accessories, and footwear at the Sunspel Sample Sale. 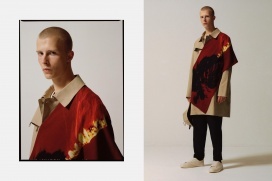 The Sample Sale will be comprised of classic, archive, and past seasons items. Items included are polo shirts, t-shirts, dresses, knitwear, underwear, and loungewear. 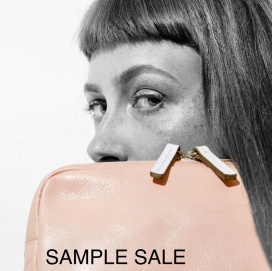 Take up to 70% discount on men and women's accessories and bags at the Ally Capellino Sample Sale. 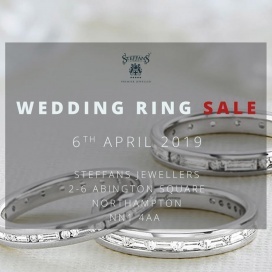 Take up to 60% discount on wedding rings at the Steffans Sample Sale. Email diamonds@steffans.co.uk to book an appointment. 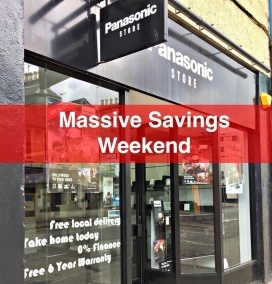 Find great deals on LED TV, OLED TV, Blu-ray players, soundbars, hard drive recorders, soundboards, turntables, Hi-Fi, camera, coffee makers, and microwave oven at the Panasonic Store Inverness Clearance Sale. Take up to 60% discount on grooming products at the Czech and Speake Sample Sale. Shop for leather handbags, shawls, scarves, purses, and wallets at reduced prices at the Bolla Bags Warehouse Clearance Sale. 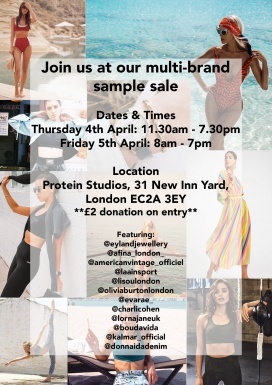 The sample sale will feature beach and activewear at reduced prices. 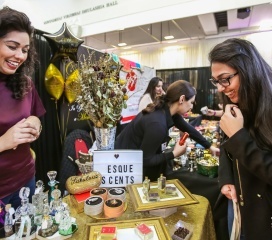 Participating brands include Eyland Jewellery, Afina London, American Vintage, Laain Sport, Lisou London, Olivia Burton, Evarae_, Charli Cohen, Lorna Jane, Boudavida, Kalmar, and Donna Ida Denim. Take up to 90% discount on men, women, and kids' apparel, accessories, and footwear at the Diesel Warehouse Sale. Items available are jeans, jackets, coats, t-shirts, dresses, sweatshirts, hoodies, polo shirts, and tracksuits. Take up to 80% discount on women's apparel, jewellery, and magazines at the Wonderound Sample Sale. 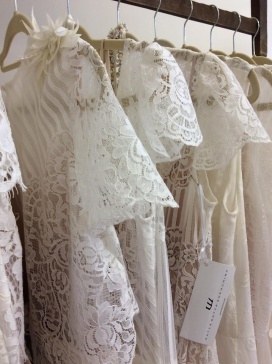 Coats are available for £100, dresses for £80, shirts for £40, and tops starting at £25 only. 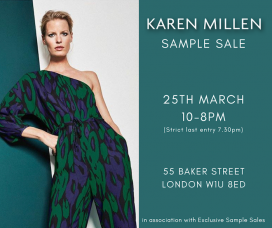 Shop for women's apparel at reduced prices at the Madderson London Sample Sale. 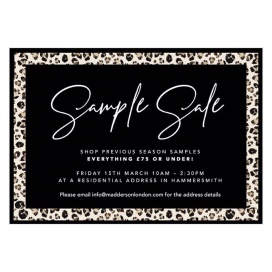 The Sale will be comprised of previous season sample items. 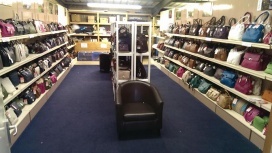 Items are available for £75 and below.